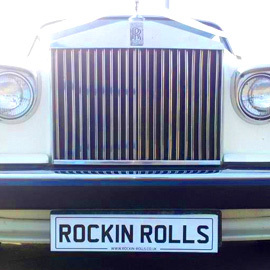 We have beautiful classic Rolls Royces for hire. White Silver Shadows, Blue Silver Spirit and Blue Silver Spur. A vintage Daimler which carries up to six people is a perfect companion to one of our white Silver shadows. Or, If you prefer something more modern why not look at our range of Mercedes. Either way you will be looked after with Comfort and style. Decorated with flowers and ribbons, Our cars have gleaming paintwork and spotless interiors. Recreate the elegance of days gone by and arrive at your wedding in one of our iconic Rolls Royces.